When is the last time that you thought about your “Legacy”? Have you been contributing enough to your retirement accounts to be able to retire comfortably? Will there be anything left for your family or loved ones after you are gone? If the answer is “no”, fear not. 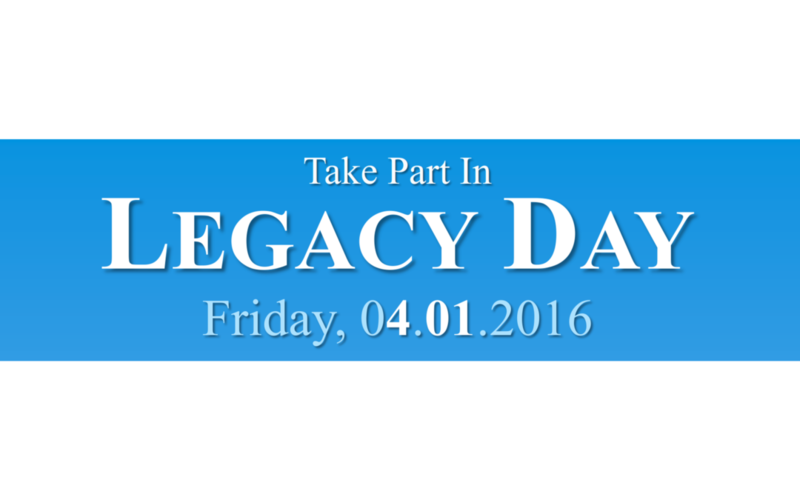 Legacy Day is a call to action. It is an opportunity to take a step toward your financial goals. Don’t wait another day to ensure that your Legacy is protected. There’s no time like the present!